Our Balham Walk development provides an excellent example of how engagement with the local community and key stakeholders helps us create places which enhance the local community, and which people are proud to call home. Located in Boundaries Road, our scheme is regenerating a former commercial laundry site which was contaminated with asbestos and hydrocarbons. We purchased the site in March 2013 and our scheme involves the demolition of the existing laundry building and the remediation of the land, followed by the construction of 91 high-quality apartments, ranging in size from one-bedroom to three-bedroom properties, including 18% affordable housing. 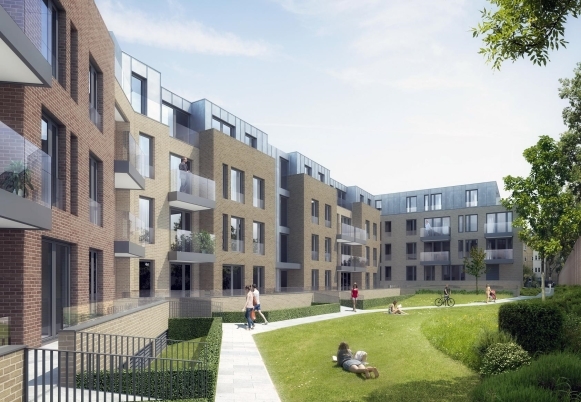 The project will also provide large landscaped communal gardens incorporating a children’s play area. By redeveloping this brownfield land, we are creating a new and sustainable use for an industrial site, improving the outlook for neighbouring properties by removing large unsightly buildings from the boundaries and making a vital contribution towards the wider regeneration and future prosperity of the area. Boundaries Road is an excellent example of how Taylor Wimpey engages with the local community and key stakeholders. Our proposals were presented to and discussed with local neighbours, councillors, Wandsworth Design Review Panel and the Balham Town Centre Partnership, while we also held a two-day public exhibition at the local school, making a contribution for the use of their facilities. Following the public exhibition, nesting boxes for swifts were incorporated into the design of the scheme as a result of information received from a local resident. The scheme received just two objections and we were commended by councillors at the planning committee for our approach to community engagement. Our Balham Walk development has been designed with sustainability at its heart, with a variety of features being provided to reduce energy consumption and enhance green spaces in the midst of an urban area, with the apartments achieving Code for Sustainable Homes Level 4. A range of sustainability features include the use of photovoltaic energy generation and communal hot water systems. To promote sustainable forms of transport, there will be 156 secure bicycle parking spaces for residents as well as electric vehicle charging points. Landscape and ecological improvements will be achieved through the large communal garden space and generous private gardens for ground floor properties, while biodiversity will be improved by providing suitable habitat at roof level and incorporating bat and bird nesting boxes. 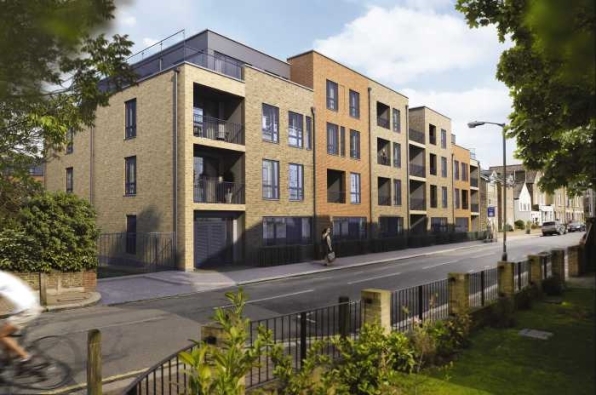 If you would like to find out about the homes that are currently for sale at Balham Walk please click here.